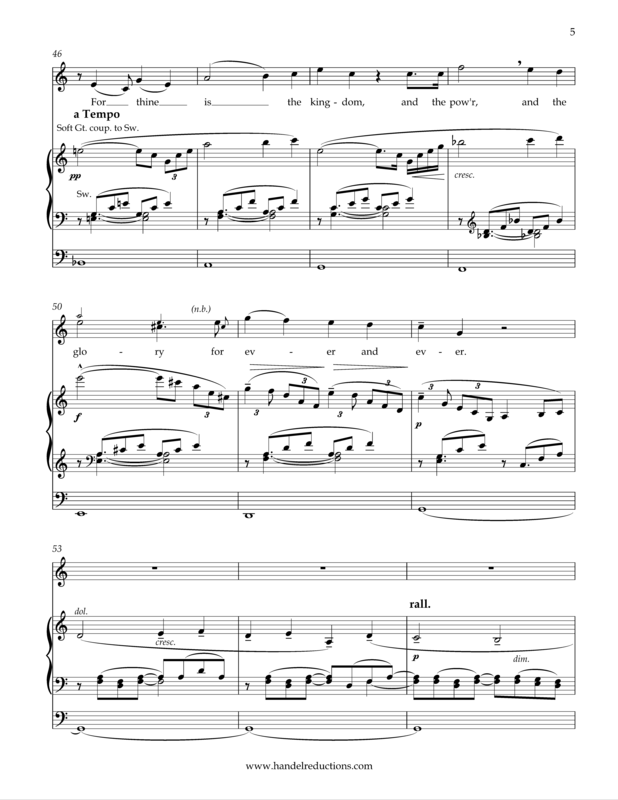 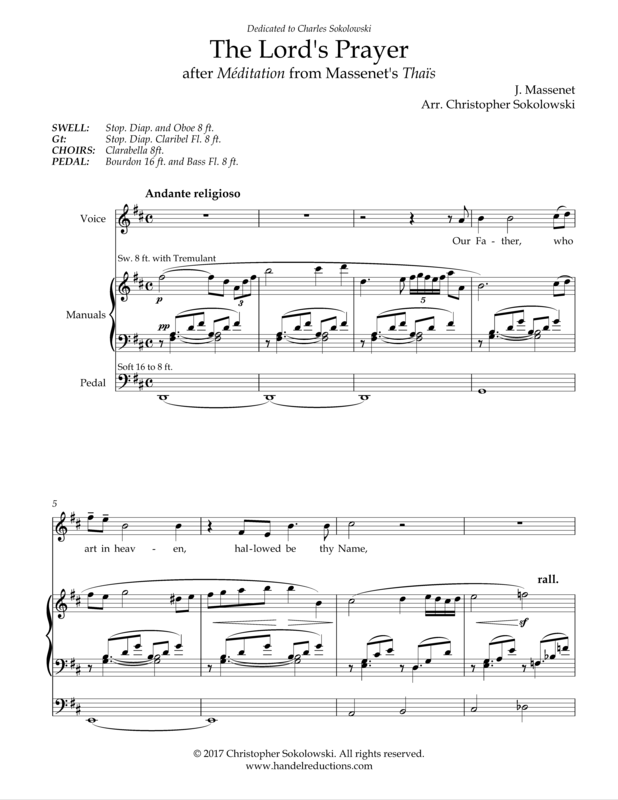 This is an arrangement of Massenet’s famous Méditation from his opera Thaïs, set to the text of the Lord’s Prayer (Pater noster). 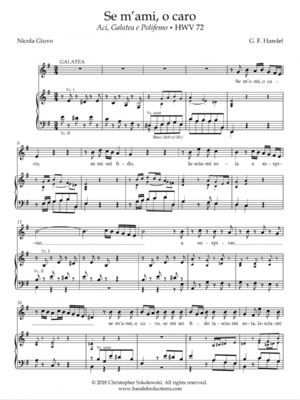 Available in 3 keys: D major (original, high voice; C#4-A5, optional B5), C major (middle voice; B3-G5, optional A5), and Bb major (low voice; A3-F5, optional G5). 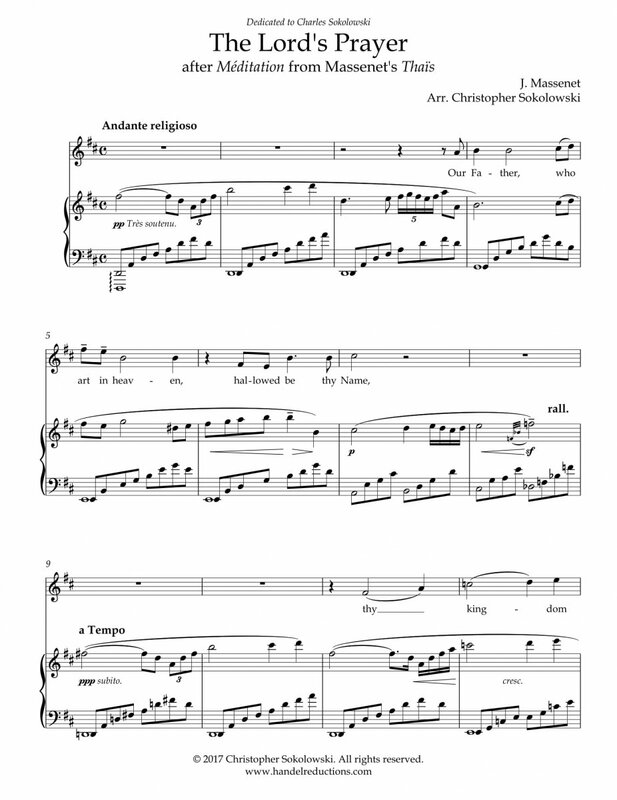 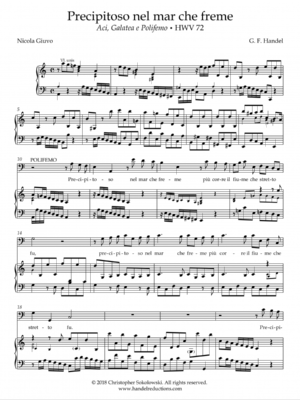 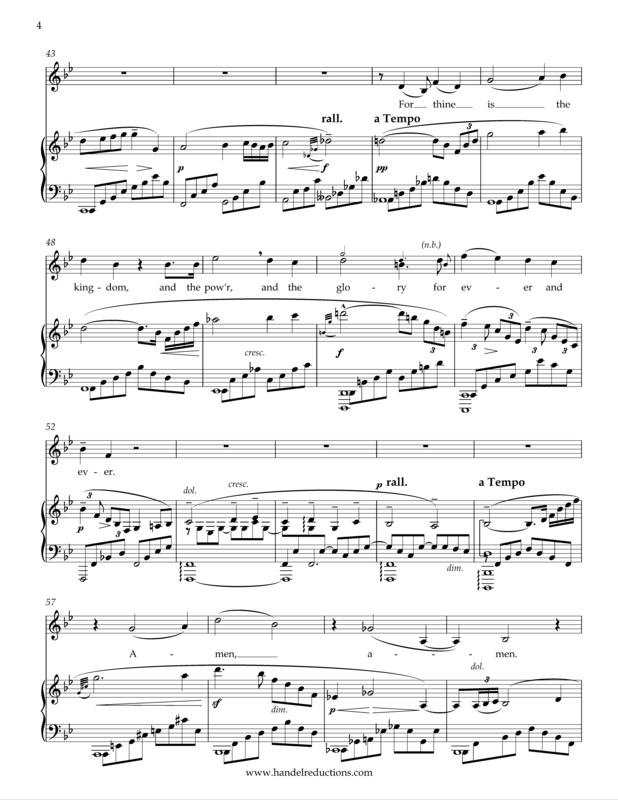 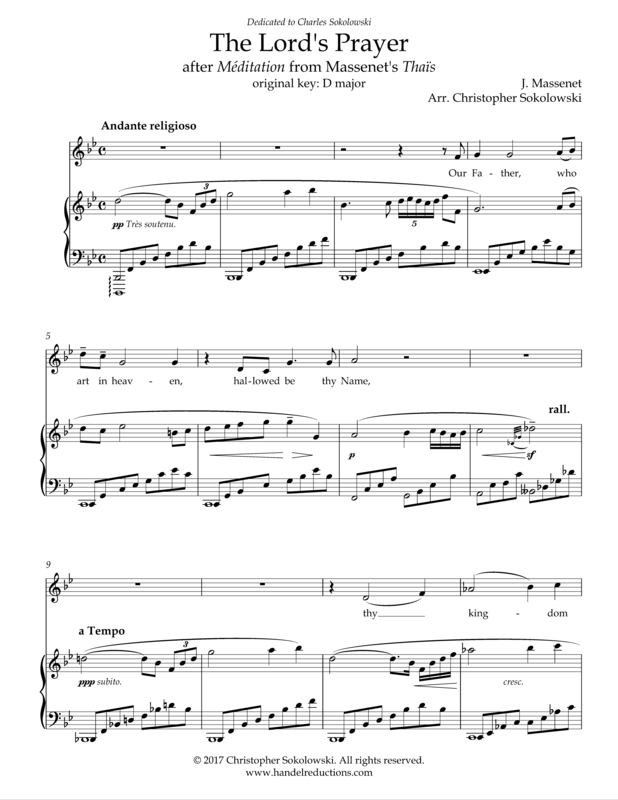 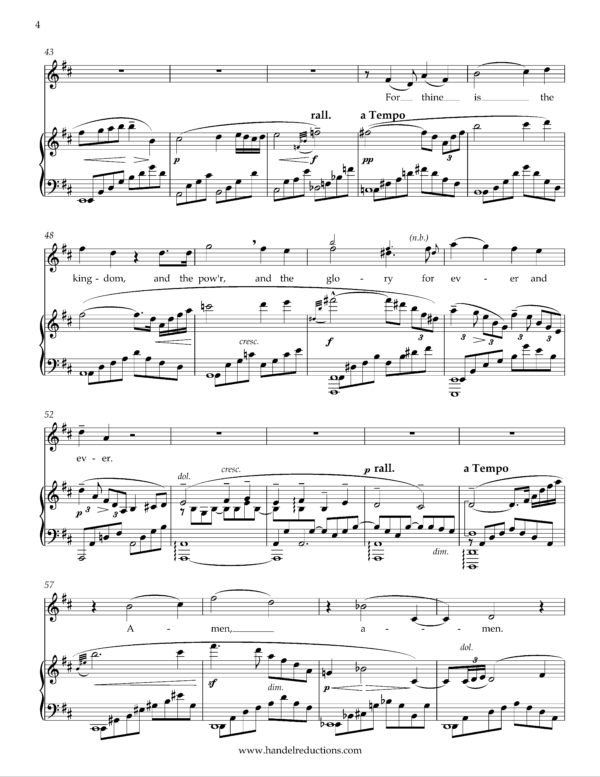 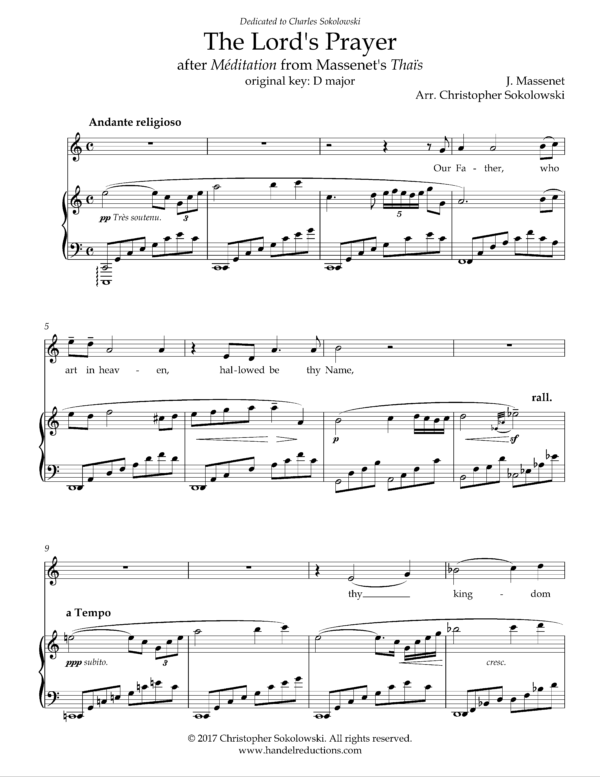 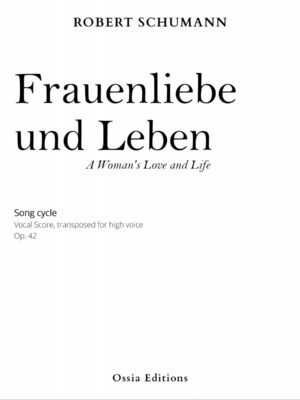 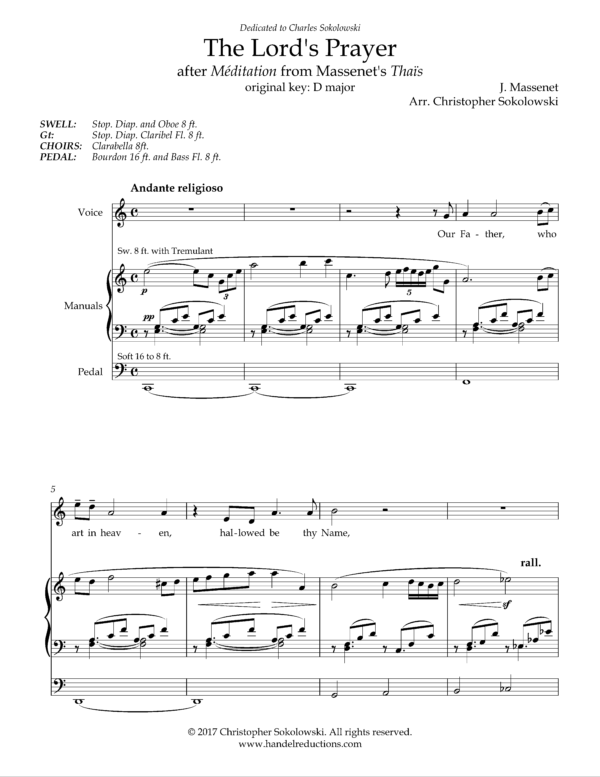 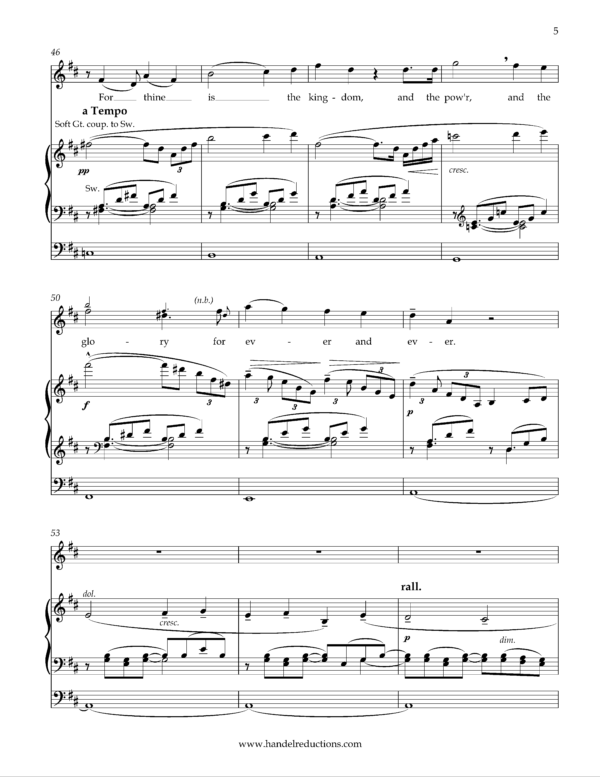 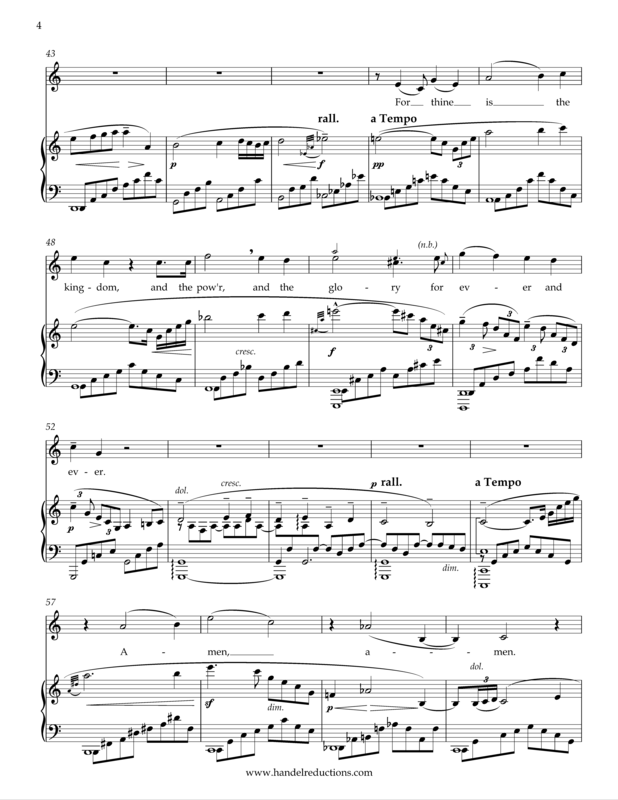 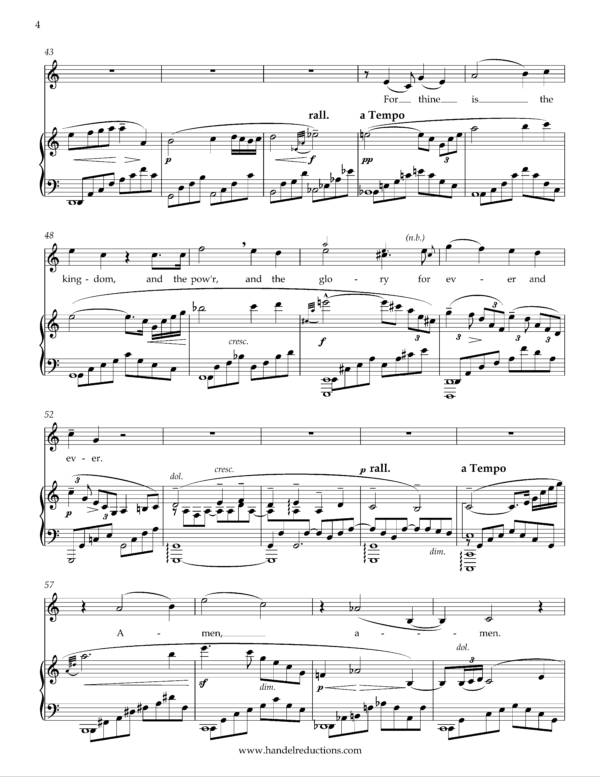 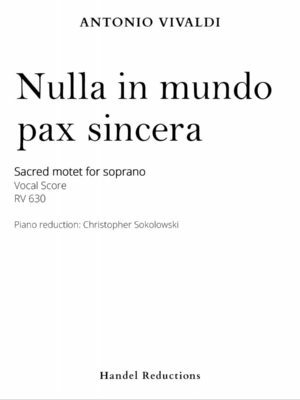 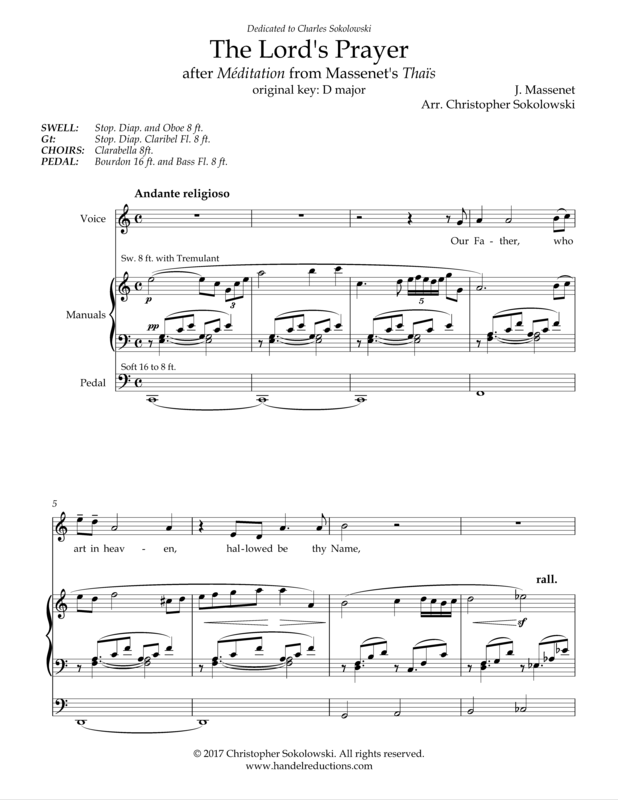 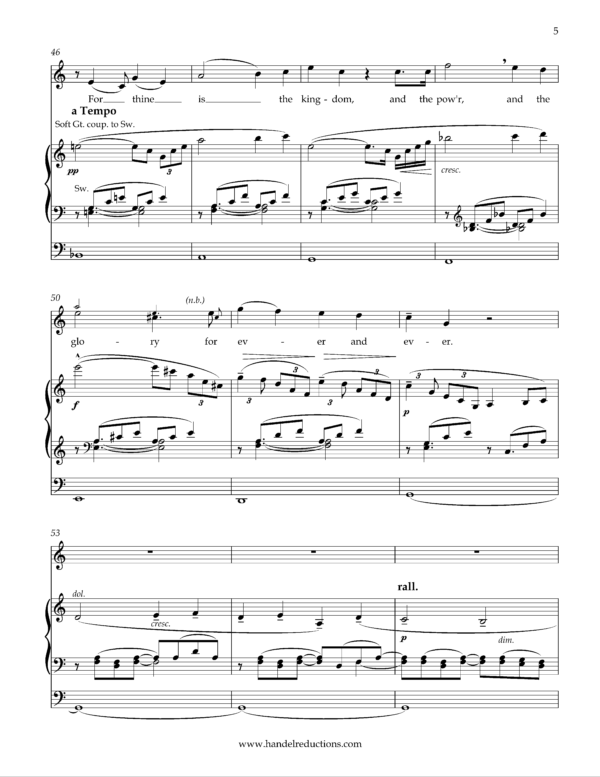 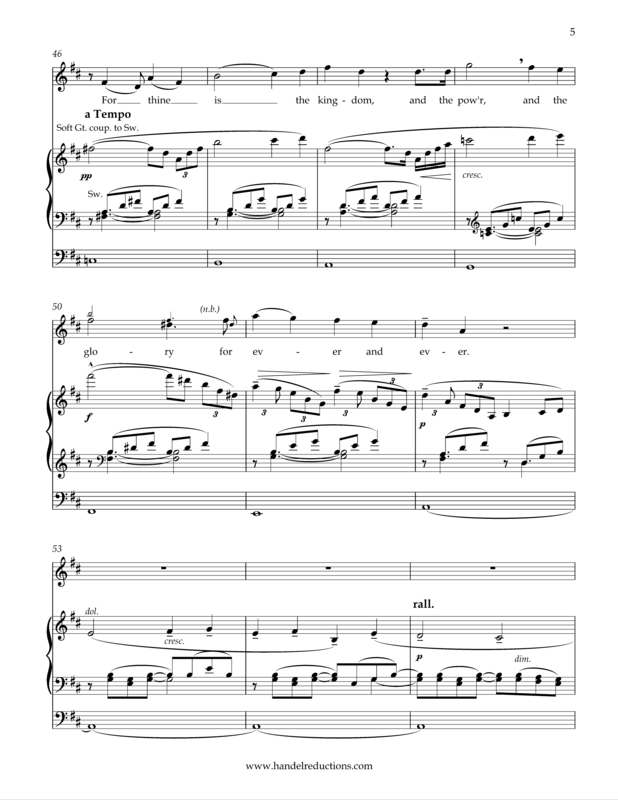 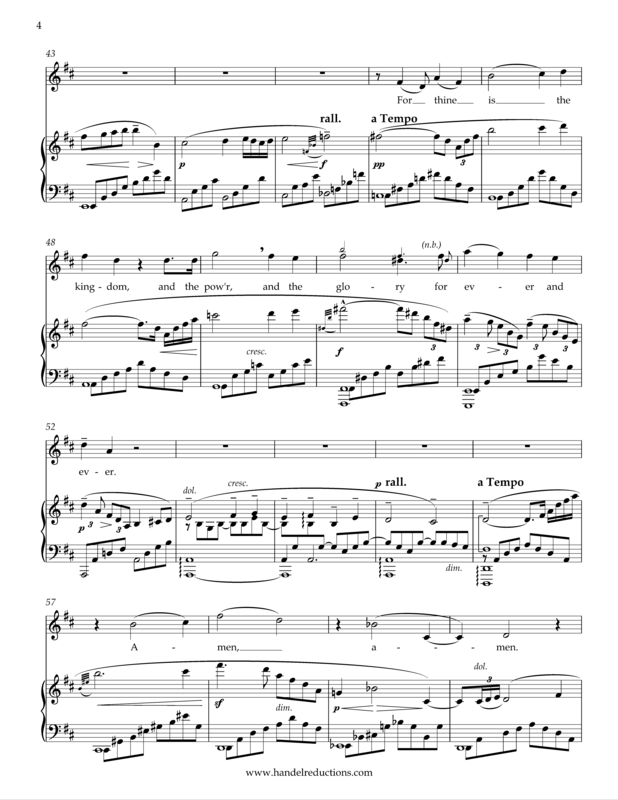 Also includes the score in an arrangement for organ and voice in the D major and C major keys.